Al Miraj is the ideal conference venue. The versatility of the main suite means that the venue can accommodate up to 800 delegates for a single conference. Every conference booking will be managed by a dedicated Event Manager from Al Miraj, who will help organise every aspect of your conference, meeting or corporate event. They will be with you every step of the way, liaising with all the relevant personnel to ensure the smooth running of your event. 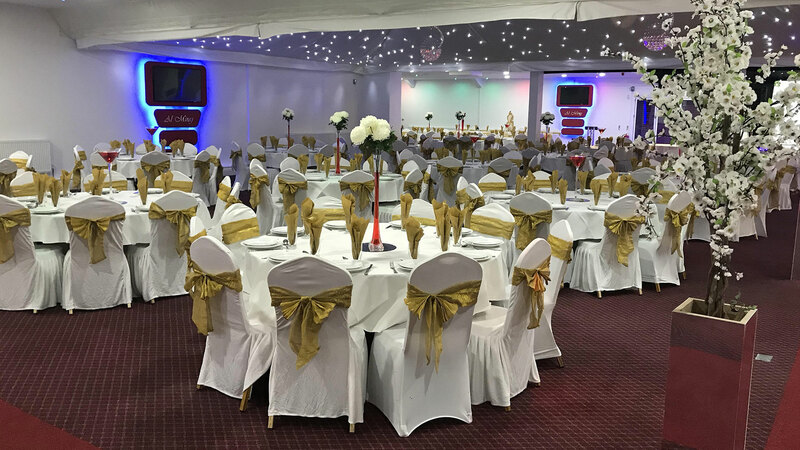 Al Miraj is easily accessible by car and public transport as it is just a couple of miles from Birmingham city centre and is situated off the main Coventry Road which leads to Birmingham International Airport. Please call 0121 773 8090 more information on our special £19.99 day delegate deal.